Front desk personnel need to be courteous, professional, and portray an unhurried manner. On the phone, patients need a sense that the professional they are speaking with has their interests in mind—that they are not rushing through the conversation so they can get to something they feel is more important. When answering the phone, dental office personnel should use the name of the practice, the name of the dentist, and, finally, give their name. Collect patient emails with the purpose of communicating scheduled appointments and other pertinent information regarding your practice. One 5-minute face-to-face meeting can accomplish more that several emails. Get your staff together prior to opening and discuss issues from yesterday, today, and tomorrow to create a cohesive team environment. 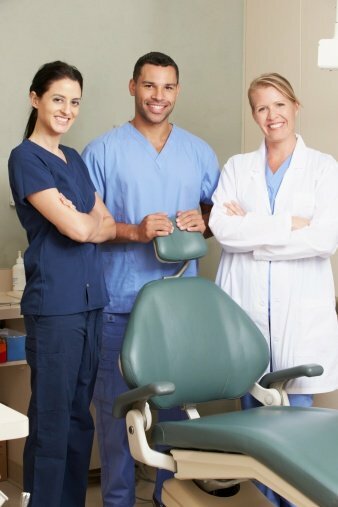 If you are a practice management organization, be sure to keep your staff up to date on the organization’s plans and new laws or dental industry trends that may impact them. Review patient charts and look for opportunities to save patients a trip by identifying those who already have appointments, and offering them the opportunity to get in a hygiene appointment. Listen to your patients' stories. They all have one. It will help you understand their needs and allow you to better serve them. For example, you may want to offer a patient an implant option but based on conversations with the patient, they may be happy with dentures. Be sure to listen. Have a written financial policy signed by all patients. Make all payment options clear and adhere to them. Offer incentives to patients who pay early. Be sure the patient gets a copy of the policy. Don't see the patient until payment arrangements are understood. In order for your office to grow and be successful, you have to make sure that you are implementing tried and true practices. Good practice management habits are at the root of your office growing and being successful. Effectively managing your office and its interactions with both employees and patients, is a vital step in positioning your office to successfully serve the needs of your patients, and thrive as a business.